Why did we dine here? – Paul Martin’s American Grill is a new restaurant chain from the P in PF Chang’s. 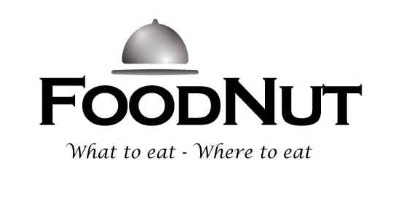 This new dining establishment open in San Mateo’s Hillsdale Mall in July 2013. They have a location in Roseville as well as 3 in southern California. Normally hearing the above would cause us to run, but we were nearby, so we gave it a go. This restaurants focus is on local, seasonal, delicious. The interior is beautiful as is the padio outside. It will be interesting to see how a chain restaurant can serve local dishes in disparate locations. Insider Tip – Give them time to gel. Service – Paul Martin’s American Grill had just opened recently, so we didn’t expect any miracles. It was clear that they had a lot of servers running around. The kitchen was still working on pacing. Verdict – Paul Martin’s American Grill served us a pretty decent meal in a dynamic environment. The food was better than expected, but not cheap. This is probably the best food option at this mall now! There aren’t many local, seasonal, places in San Mateo, so it is good to see another entry. Clearly one could drive up to the City and get better food at similar prices. Paul Martin’s American Grill Signature Dishes – Brick chicken, cedar plank salmon, grilled polenta. Paul Martin’s American Grill’s Menu has a wide variety of items. All the classic dishes you would expect along with a good amount of seafood and a Sunday 3 course prime rib dinner special for $29. This restaurant clearly marks gluten friendly as well as heart friendly dishes. Mojito Classic ($10) was strong and surprisingly good. Local Corn and Quinoa Chowder ($9) roasted corn, quinoa and amaranth, poblano pesto oil was served warm, it could have been hotter, but the flavors and texture hit the mark. Marinated Hanger Steak chimichurri style, housemade mashed potatoes ($23) looked nice and proved to be very good. The one flaw was the amount of spiciness in the sauce. Nice, rich mashed potatoes. Cedar Plank Salmon shallots and bacon, organic bloomsdale spinach, crimini mushroom jus ($24) was recommended by our waiter. It was also a worthy dish. Flaky, cooked correctly, and of decent size. The bacon added a rich touch. Pitman Family Farms “Brick” Chicken free-range chicken, mashed potatoes, herb jus ($21) is known as their signature dish. We are not ones to order chicken outside, but someone has to take one for the team. A very good version, not over-cooked, bathed in a nice jus. Clearly not up to Zuni quality, but solid. Mac & cheese crispy prosciutto ($6) was a side dish with lots of quantity, rich cheese flavor, and decent pasta quality. White Bean and Arugula Salad ($7) seemed more like a starter salad than side dish. This was also a bit on the vinegary side. Roasted Beet Salad ($13) red and golden beets, pickled cauliflower, cypress grove midnight moon goat cheese, caper-raisin dressing way too sour!